Endeavor Hospitality Group, a New York-based hotel management company, today announced that its first portfolio property—the Marriott Courtyard New York Midtown West—will be driven by thoughtful and sophisticated contemporary design, marked by eclectic furnishings, metallic accents, an on-trend neutral color palette, and eco-friendly elements. 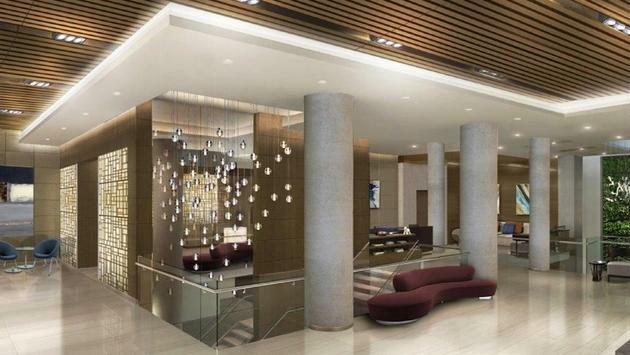 The 28-story, 399-room hotel, including 26 suites, is slated to open mid-year and is designed to reflect its iconic location in Manhattan’s Hudson Yards District, blending urban elements with modern amenities. As a new-generation Courtyard the hotel’s décor is soft and calming with pops of abstract artwork that speak to the vibrant urban environment, a departure from the brand’s traditional style. The space will be complemented by minimalist illuminated metal fixtures and natural light, featuring a large-scale skylight in the hotel’s restaurant and bar. Andres Escobar and his team at Lemay + Escobar, renowned for their luxury hospitality projects in New York City, are behind the hotel’s striking, bespoke interiors. The design approach was intended to elevate guests’ experience by providing a refreshing balance between the lobby’s grand feel and two-story ceiling with the accessibility of the smaller-scale, intimate areas within it. Among them, functional vignettes that provide space conducive to being productive on the road or relaxing with a cocktail after a day of sightseeing. The common area’s clean lines, contemporary furnishings and sizeable sunlight-drenched living wall add to its airy and lively atmosphere and are reflective of the regeneration of Manhattan’s Westside. The property’s design includes a variety of eco-friendly elements, such as LED lighting throughout, recycling program, a conscious energy, and water consumption plan to minimize environmental impact and the above mentioned sustainable two-story living wall featuring six varietals of succulents. 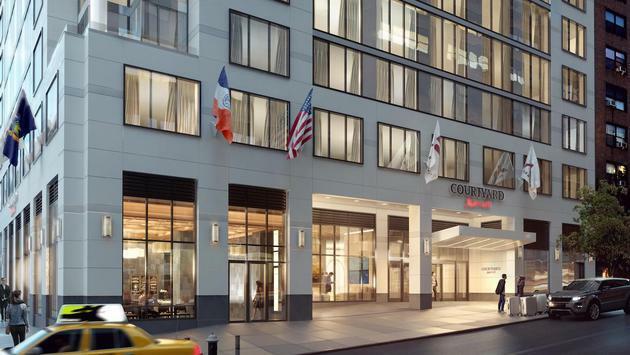 The Courtyard New York Midtown West will serve corporate, leisure and group travelers and is located directly across from Hudson Yards and only a few blocks from the Jacob Javits Center, the Highline, Madison Square Garden, and Times Square. The property is situated at 461 West 34th Street, on the corner at 10th Avenue. The hotel is the first of several hotels Endeavor Hospitality Group will launch as their portfolio expands in New York City.